Express yourself with this blue-green bracelet from John Hardy’s Classic Chain collection with chrysocolla beads! Crafted in sterling silver, it features four rectangular stations embellished with the designer’s chain motif and marvelous mineral beads that measure 6mm in diameter. Putting the piece on and taking it off are a breeze, thanks to a pusher clasp. 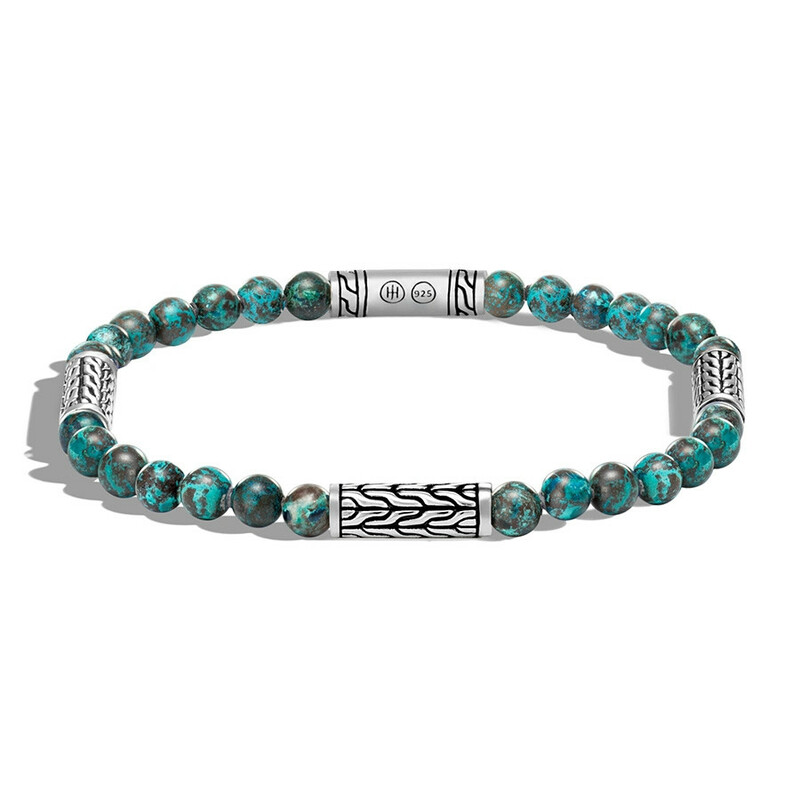 This John Hardy bead bracelet will bestow a sense of serenity upon you. Chrysocolla. NOTE: Bead color may vary.